Gentle sloping hillside farm land surrounded by native vegetation areas that provide a buffer from adjoining housing estates and Peri-Urban areas. Remnant rainforest is preserved on 19ha (29%) of the 64ha of the facility. Most of this land is criss-crossed with gullies and creeks, and the terrain is too steep to be farmed. 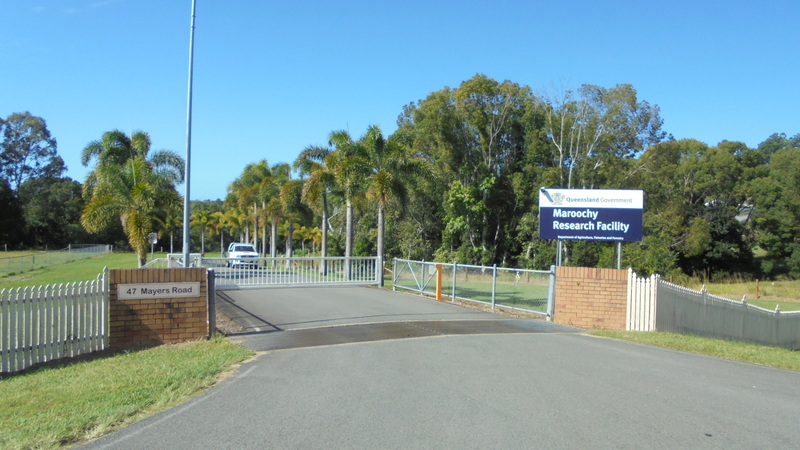 The Maroochy Research Facility (MRF) is situated on the Sunshine Coast, 100km north of Brisbane (Queensland). The facility was established in 1945 with the purchase of a 46ha dairy farm in the foothills of the Blackall Range, four kilometres south west of the Nambour town centre. Like most farms in the district, it has several soil types with variable aspects and marked differences in elevation. The Facility’s original charter was to facilitate the expansion of subtropical fruit growing in southern Queensland. It not only provided a venue for long-term investigations, but also served as a training ground for horticultural research and extension staff in the then Department of Agriculture and Stock. For more than 50 years, MRF has serviced Queensland’s and Australia’s tropical and subtropical fruit and nut industries. During this time, it has established itself as a global leader in applied research, development and extension. Additionally, it now services the greater south-east Queensland region as an administrative, managerial and regulatory hub. Four business units of DAF operate at Maroochy Research Facility - Horticulture and Forestry Science, Biosecurity Qld, Research Infrastructure, Regional Services, and Animal Science. 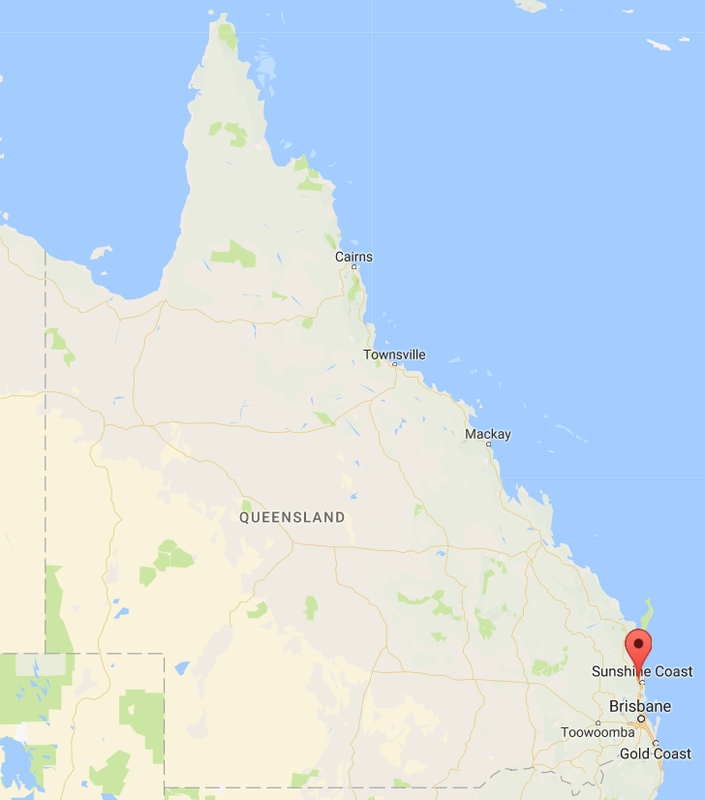 The facility services Queensland and Australia's subtropical fruit and nut industries. It is a global leader in applied research, development and extension and staff work collaboratively with regional, state and international organisations and communities. Research undertaken on the Sub-Tropical crops helps under-pin significant agricultural industries primarily in Queensland but also across Australia e.g. though national breeding programs. Major breeding programs for strawberries, low-chill stone fruit, custard apples, pineapples and ginger operate at the Centre. Disciplines represented include but are not limited to Infrastructure Management, Entomology, Plant Pathology, Agronomy, Crop Physiology, Plant Breeding, Postharvest Physiology, Extension, Regulation, Administration and Operations. The site has built facilities include an administration office with accommodation for 100 staff, conference and meeting rooms. General storage, laboratory complex, special tissue culture and biotechnology laboratory, postharvest laboratory, a complex of glasshouses, machinery sheds mechanical workshop and chemical store. The site is well serviced with a wide range of plant and equipment including tractors, trucks, sprayers and cultivators required to support research and grow a broad range of horticultural crops.